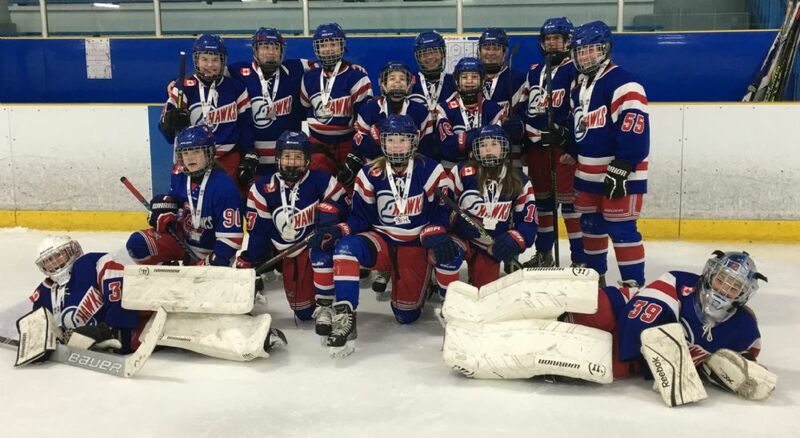 This team had a tremendous first season playing the Lower Lakes Female Hockey League. Placing 5th in their division for the regular season, they went on to beat the #4 team, then the #1 team and finally the #2 team to become the LLFHL Pee Wee BB South Central Division Champions! The team qualified for the LLFHL Best of the Best Championship Weekend and won a silver medal. The Hawks finished in 2nd place out of 44 teams in the Pee Wee BB division.